A recent trend has been taking the world of diamond rings by storm – and it has nothing to do with diamond engagement rings or wedding bands. This trend is known as the right-hand diamond ring, and it’s become so popular that jewelers and advertising agencies have been quick to cater to the mass of women demanding right-hand diamond rings. So what exactly are right-hand diamond rings, and how can you pick out one for yourself? 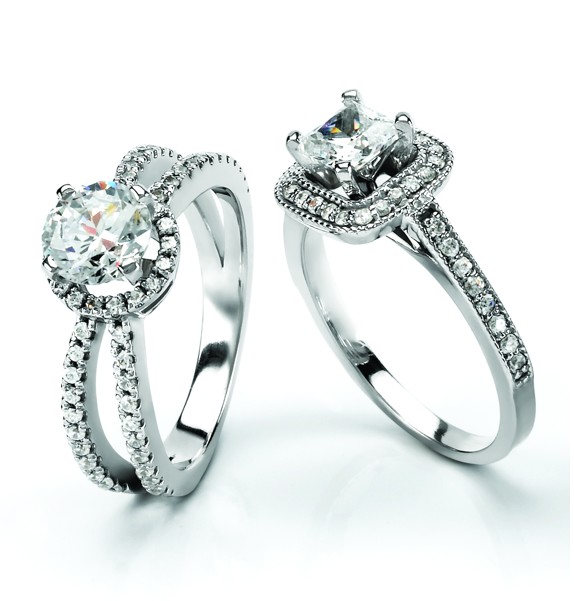 Once upon a time, diamond rings were reserved for women who were newly engaged or married. However, today’s independent woman is often tired of waiting for the perfect man to come along and propose; therefore, she takes matters into her own hands by buying a right-hand diamond ring. While the left-hand diamond engagement ring represents love and a future spent with a partner, the right-hand diamond ring is much more about celebrating the woman’s particular achievements and good fortune. For example, many women buy right-hand diamond rings as a way of announcing to the world that they’re financially independent. Other women buy diamond rings as a reward for a new job promotion or reaching a major life milestone. And there are the women who buy right-hand diamond rings simply because they can afford to – and they’re not about to wait for a man to propose just so they can enjoy looking at a sparkling diamond. 1. Pick a style that’s uniquely your own. For example, if you love the look of antique diamond rings, adopt this style for your right-hand ring. Remember, this piece of jewelry is supposed to represent you and you alone, so don’t be afraid to choose a favorite style that’s a little less than traditional. 2. Keep the four Cs in mind – cut, color, clarity, and carat – and how they’ll affect your ring shopping budget. If you want a top-quality diamond, you should expect to fork over more money for the privilege. 3. Avoid shopping for diamond rings that are marketed as engagement rings or wedding bands, as the price will reflect the labeling. If you want to celebrate your life and all the amazing achievements you’ve accomplished, it’s time to get yourself a right-hand diamond ring!